Say 'So Long' to those boring PD sessions and say 'Hello' to being inspired and engaged! Teacher leaders are often creating professional development [PD] sessions for the staff that they lead. 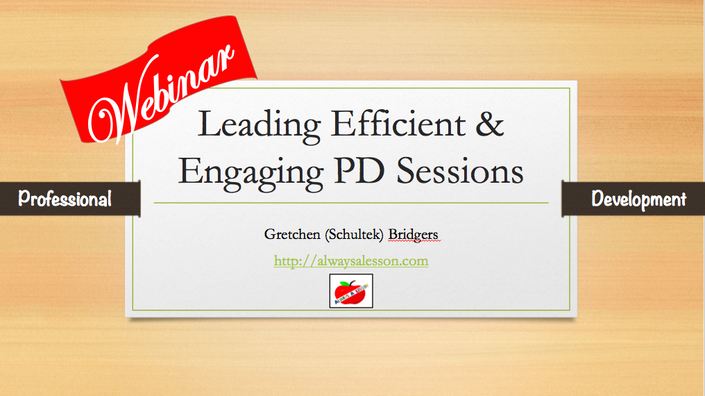 These PD sessions historically have been lengthy, rarely applicable, "sit and get" meetings. This is an ineffective way to equip teachers with instructional best practices and current pedagogy knowledge. Learn how to create and deliver PD that is not only effective but will excite teachers in the process!